B77 MKII, Analog Multitrack from Revox. shimelo's review (This content has been automatically translated from French)" Great when we know it ..."
Anonymous 's review (This content has been automatically translated from French)" A Monument"
Like the current MP3 players, nothing in common. In terms of manufacturing, the STUDER was sturdy and durable. Glad to have this model since 1984, its operation is always blameless. NB: For insiders critics or not, Revox A77, B77, PR99 ... were manufactured entirely in WILLI STUDER AG, CH-8105 Zurick Rosensdorf-Switzerland, in the same lab, the same components and the same methods as equipment Brand STUDER. Mr Willi Studer made no difference in the production of all models. No compromise with quality. It was a different philosophy at odds with the current methods. Winger 31's review (This content has been automatically translated from French)" Revox B77"
elriton's review (This content has been automatically translated from French)" A "classic""
I use the Revox B77 since 1987 to assemble, loops, sound on sound, echo effects. I particularly like the color of sound, round and warm, and the report directly to the sound material by manipulating tape by hand with real tools: scissors, glue, pencil lab, four-decimeter. The Revox B77 and its cousin, the Studer PR99 did not find their replacement in the digital world even if the control surface and audio interfaces are much more powerful on paper. The Revox B77 is that the studio is in the Pleyel piano. Snapboy's review (This content has been automatically translated from French)" C is sentimental!" 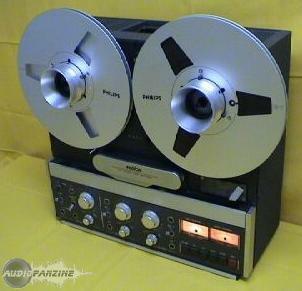 I use the revox for less than a year but I dreamed since I was a kid. Must admit that it's heavy and good. Very little breath, a color of its very friendly, warm and an unparalleled ease of use. I have not tried other models that I wanted him. I have an GRUNDIG TK47 DELUXE since I totu kid is probably because of him that I came in the passion of a magneto band! To purchase a new EUR 150 heads used .... I do not think we can do better right? ... Value aujourdhuit UNBEATABLE price. read heads and recording his indestructible and pinch roller is still original. the momentum is formidable and the inclusion of this little gem in the digital ... cubase and pro-tools is perfect for mastering ... especially when a big sound need is felt. with a little maintenance regularly, I plan to keep this gem a few years. There were two opinions on the magneto. 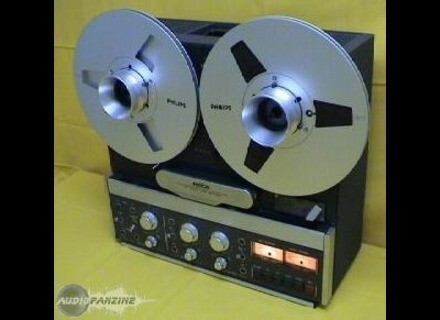 Revox! It's not me who would have the audacity to contradict or to insult their authors: Revox, indeed, is the refrence of registration (or at least the silent) .It seems that the construction of these machines t stopped, shame! quelq'un can confirm it? I utllis a rvox for several years when I was doing radio. is a robust machine, put a few bad contacts possible time, but suddenly a bomb contact rsoue the problem for long. the sound is extracting, especially MODELS 38 cm / s, unebonne dynamic for the analog rduction without noise. the heads are reading npuisables. RULES its super convenient mounting and incorporates many DGIG heads to mark the band semantics. I had but between other device, Uher to DAT, I have a respect for what magntophone that a certain class. the sound is not as neutral as a DAT, but enjoyable trs the cost.